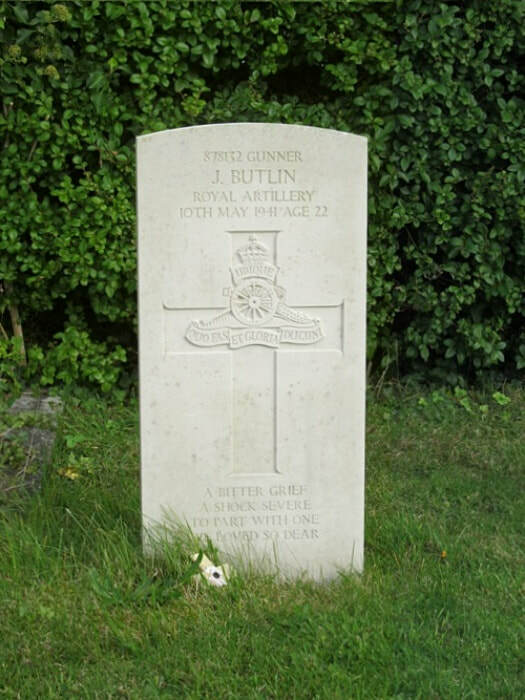 878132 Gunner John Butlin, 204 Bty. 95 H.A.A. Regt. Royal Artillery, died 10th May 1941, aged 22. Son of George and E. Butlin, of Deritend, Birmingham. 3851766 Serjeant John Stoneham, Royal Artillery, died 9th December 1944, aged 37. Husband of Beatrice Evelyn Stoneham, of Attercliffe, Sheffield.